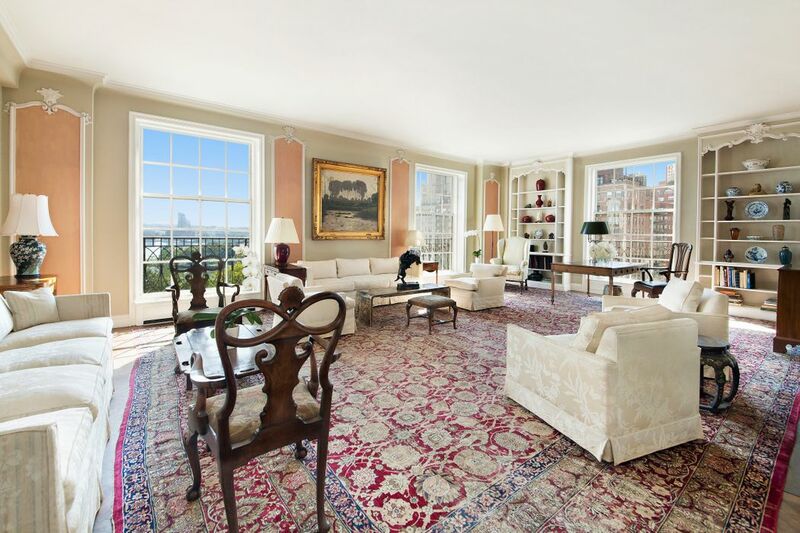 120 East End Avenue Apt 11A, New York, NY 10028 | Sotheby's International Realty, Inc. 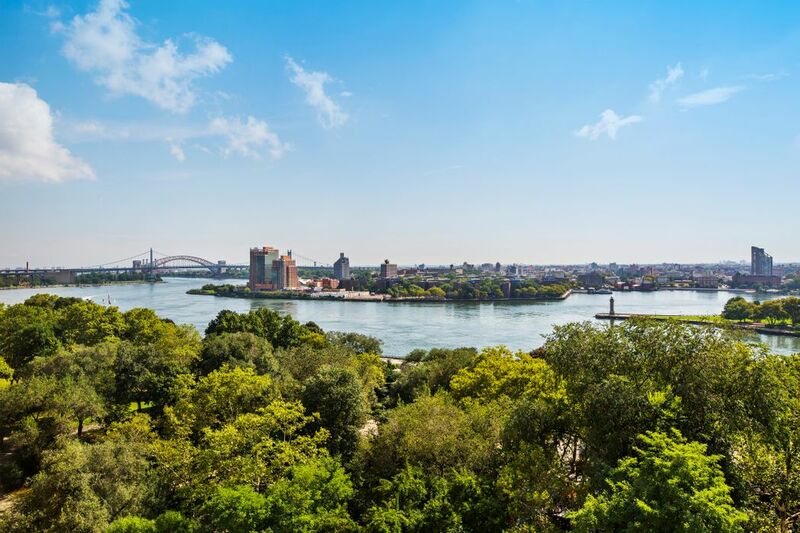 This immense 14 room cooperative apartment is distinguished by large and elegant rooms with dramatic views of the East River and Carl Schurz Park. 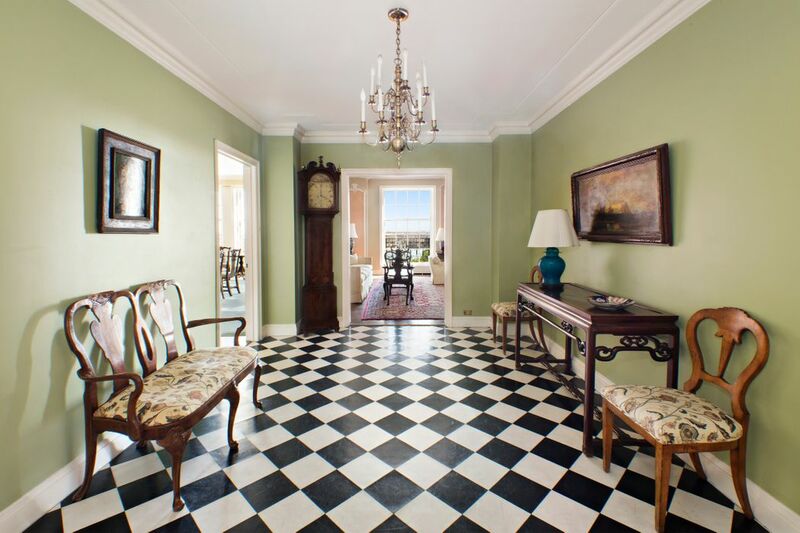 Grand floor to ceiling windows through-out this high-floor classic pre-war apartment afford outstanding and unimpeded southern and eastern light all day long. 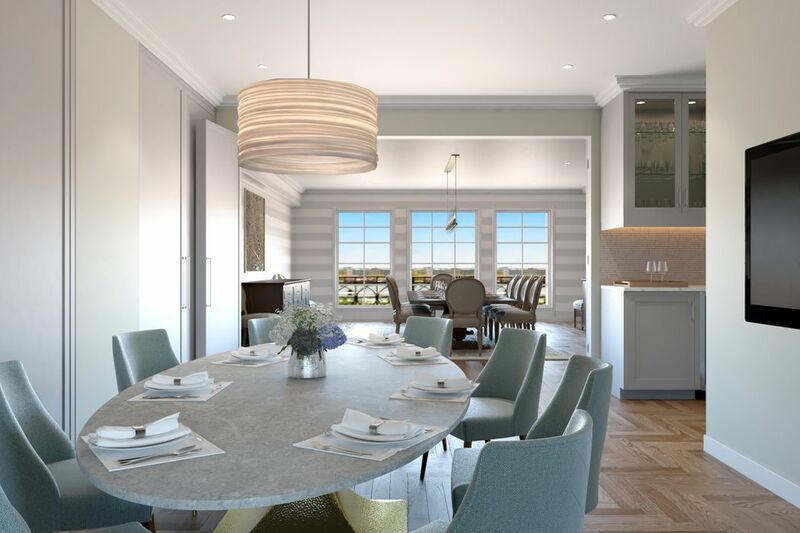 The floor plan offers a gracious flow: from the private elevator landing, a large central gallery leads to the spectacular corner living room with intricate moldings and a wood-burning fireplace. 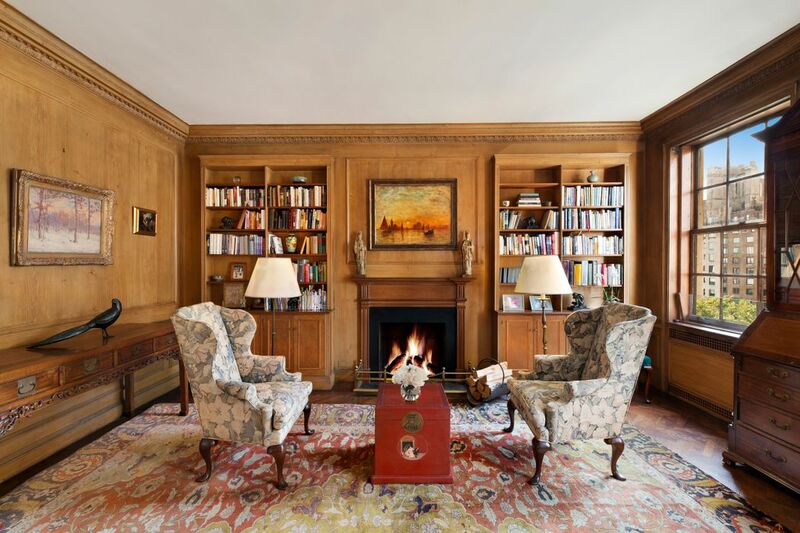 Adjacent is a huge formal dining room with hand-painted Gracie wall paper, along with a handsome library with a wood-burning fireplace. 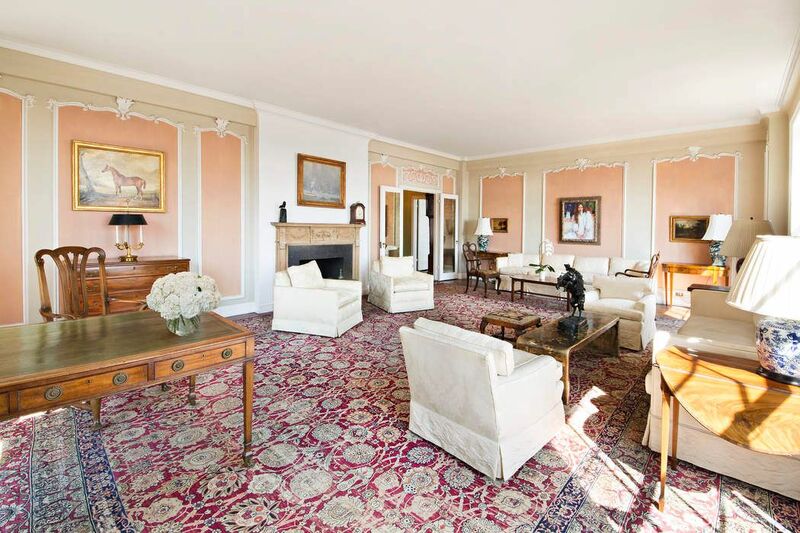 These over-sized principal rooms with 10’ ceilings have an impressive scale for entertaining, and there is a powder room conveniently sited off the central gallery. Down a long hallway there are five generously-sized bedrooms with abundant closet space and each with their bathrooms en suite. At the back of the apartment there is a large family room adjoining two staff rooms and a staff bathroom. Nearby is the enormous eat-in-kitchen next to a cozy breakfast room. A big laundry room completes this sprawling floor plan, and there is outside storage available as well. Developed by Vincent Astor in 1931, 120 East End Avenue is one of the city’s most prestigious “white glove” co-ops. Amenities include an elegant lobby, full service staff, a large gym, and a beautiful private garden. 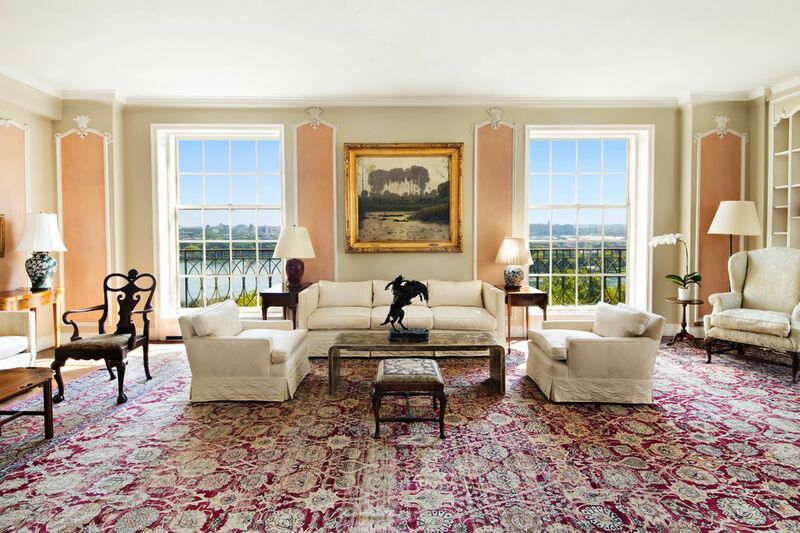 The New York Times, "Family of Christine Beshar, Trailblazing Lawyer, Selling Co-op"
This immense 14 room cooperative apartment is distinguished by large and elegant rooms with dramatic views of the East River and Carl Schurz Park. 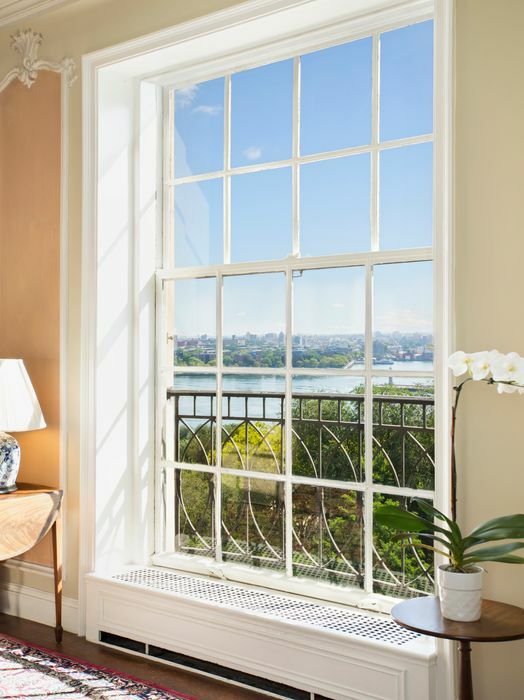 Grand floor to ceiling windows through-out this high-floor classic pre-war apartment afford outstanding and unimpeded southern and eastern light all day long. 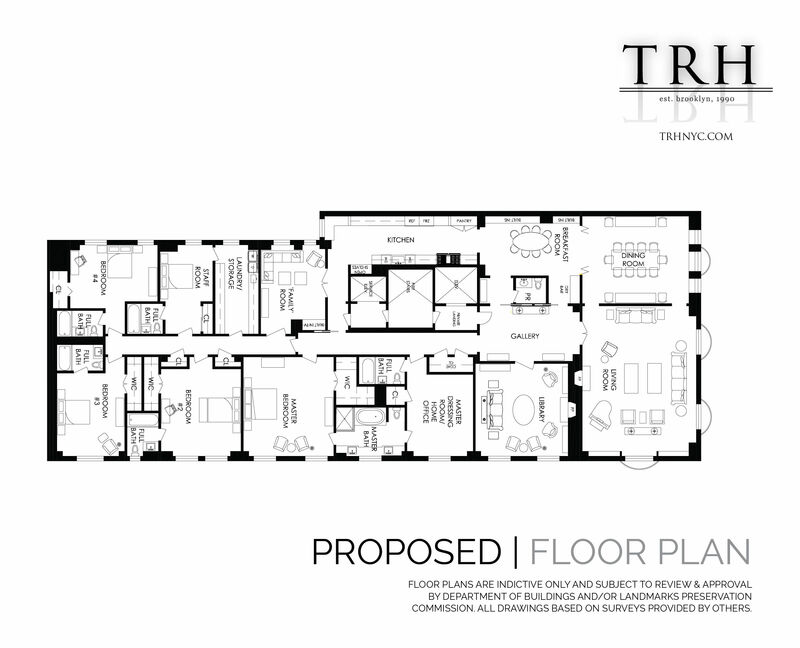 The floor plan offers a gracious flow: from the private elevator landing, a large central gallery leads to the spectacular corner living room with intricate moldings and a wood-burning fireplace. 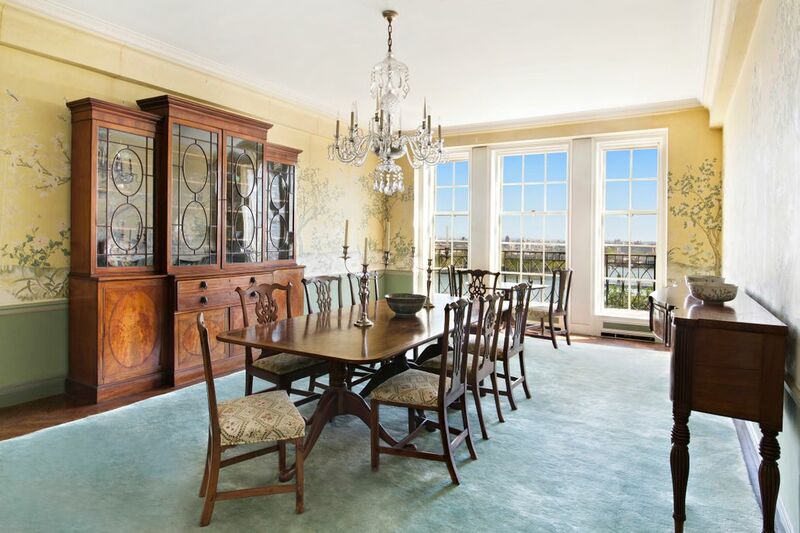 Adjacent is a huge formal dining room with hand-painted Gracie wall paper, along with a handsome library with a wood-burning fireplace. 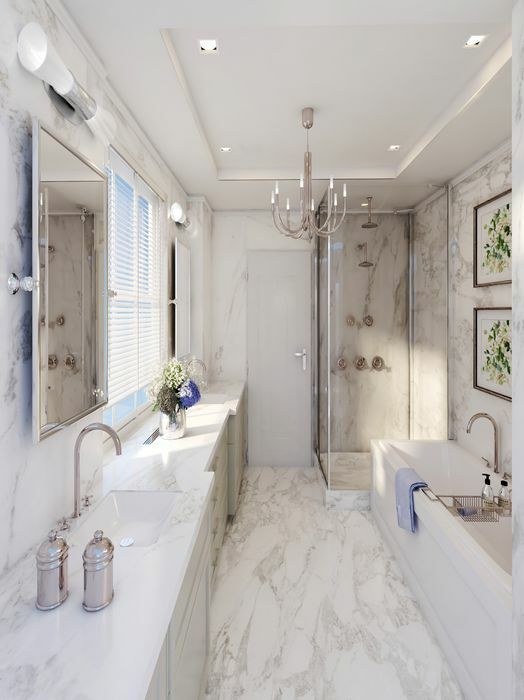 These over-sized principal rooms with 10’ ceilings have an impressive scale for entertaining, and there is a powder room conveniently sited off the central gallery. Down a long hallway there are five generously-sized bedrooms with abundant closet space and each with their bathrooms en suite. At the back of the apartment there is a large family room adjoining two staff rooms and a staff bathroom. Nearby is the enormous eat-in-kitchen next to a cozy breakfast room. 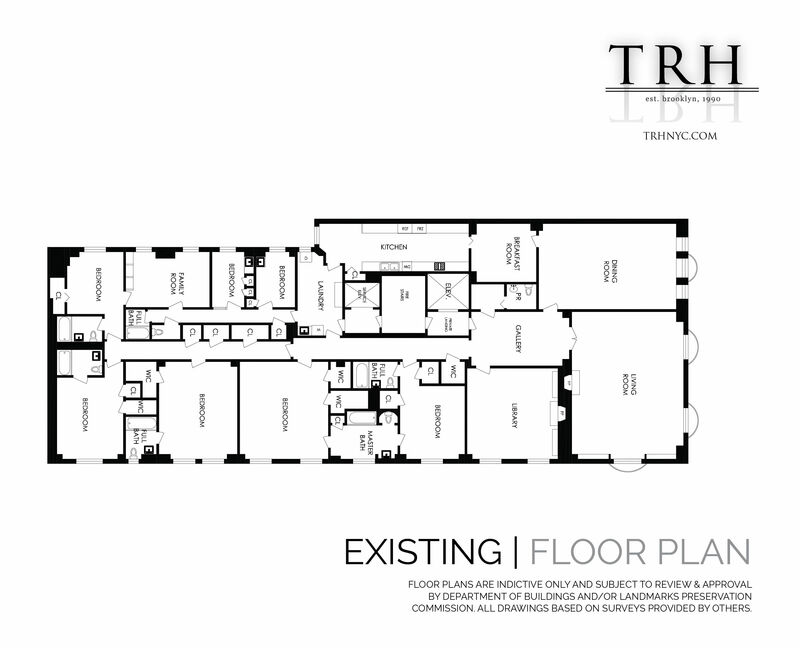 A big laundry room completes this sprawling floor plan, and there is outside storage available as well. 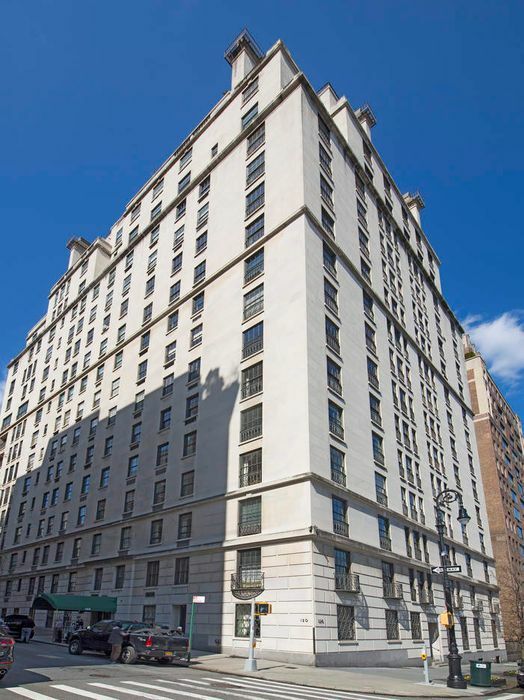 Developed by Vincent Astor in 1931, 120 East End Avenue is one of the city’s most prestigious “white glove” co-ops. Amenities include an elegant lobby, full service staff, a large gym, and a beautiful private garden.